The majority of student rooms are double occupancy. There are some single and triple rooms available on a first come, first served and need basis. Roommates are paired according to gender, age and, as much as possible, your special request at the time of registration. Each room provides you with a twin bed with pillow and a light comforter, a ceiling or standing fan, and minimal storage for clothing and personal belongings. Rooms are neither heated nor air conditioned, so please bring appropriate clothing and bedding for both cool and hot summer nights. We welcome students who live close enough to commute or choose accommodations off-campus. 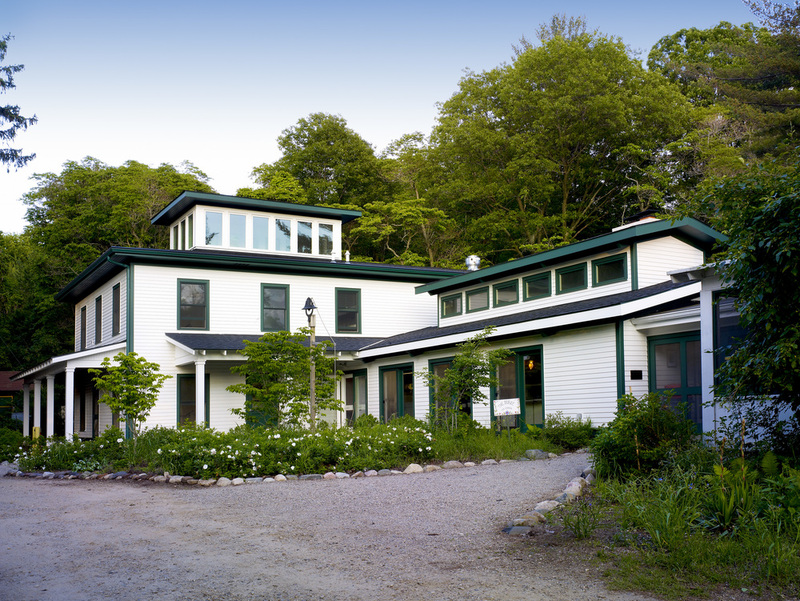 A variety of hotels, motels, and bed-and-breakfast inns are located in and around Saugatuck and Douglas. Both Saugatuck and Douglas are located less than four miles from Ox-Bow and can be accessed by car, bike or via a chain ferry that leaves from downtown. Visit the Saugatuck Visitors Bureau online or by calling 269.857.1701 for the most comprehensive list of lodging in the area. We also have a list of favorites here. Commuting students are encouraged to participate fully in life at Ox-Bow. Please plan to attend special events such as our Friday night open house, reception, and party, as well as evening lectures by visiting artists and resident faculty. The majority of student rooms are located in a 19th-century landmark Inn on the center of the Ox-Bow grounds. 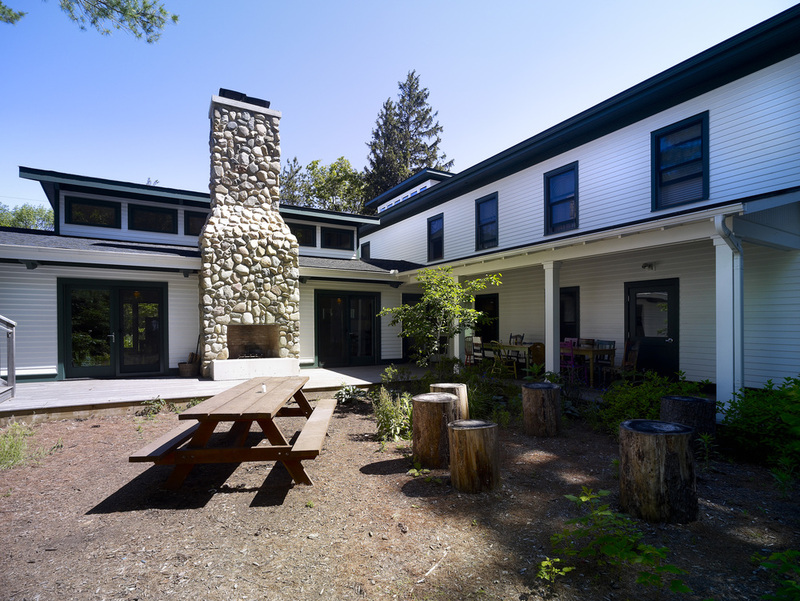 The older portion of the Inn still stands as rustic and as charming as it always has, with student rooms on the second floor, as well as a gallery space, the original dining room, the primary student services office. Here you will also find our relaxing porch equipped with hanging swings and festive chairs for meetings and resting. Recently, we completed the Burke Inn Addition. The second floor of the new Inn wing houses student rooms, and 2 shared bathroom spaces. The first floor in the new Inn wing includes 2 ADA compliant rooms, the kitchen, an expanded dining room, additional office space, and a breezeway that connects to the original building. The Janie, named after Jane Warnock, was a gift from her parents in 2008, Todd and Liz Warnock. 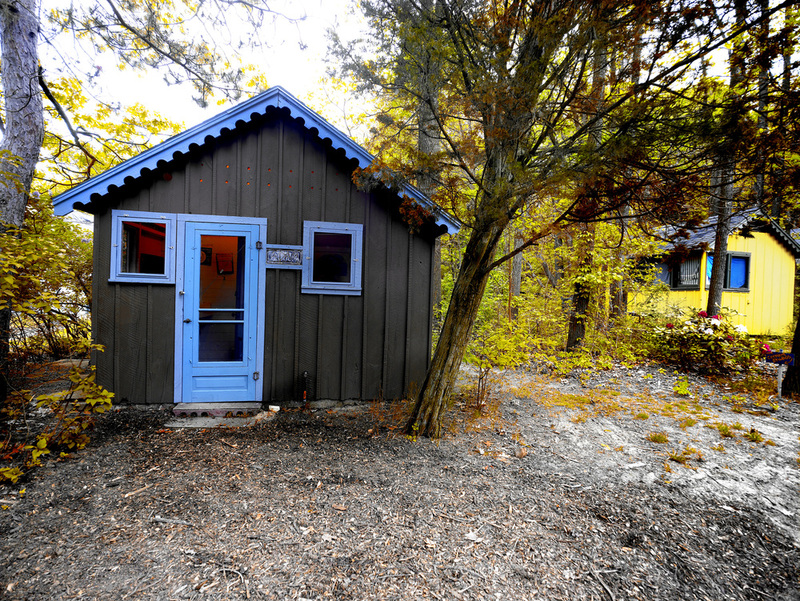 This purple and blue dormitory houses students in the summer and artists in residence in the fall. 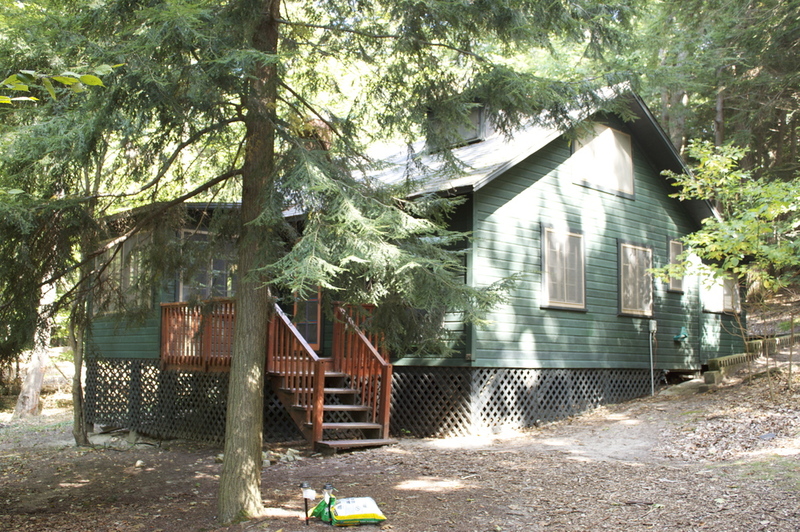 In the 1870s, the White was used as a caretaker’s house for the Shriver home and was later rented by lumberjacks and fishermen. Today, it houses most of our work scholarship students. In 1923, Olive Williams built this cottage and later sold it to Jean Palmer and Mary K. Bettles, who was known as the “Sheriff of Ox-Bow”. It is now known as “the Mary K” after Ox-Bow's caretaker and houses fellowship students every summer. New in 2006, The Marshall dormitory, a gift from Todd and Liz Warnock, was named after their son Marshall Warnock, and houses fellowship students in the summer, artists-in-residence in the fall, and staff in the winter.